Before I truly started my weight loss journey around a year ago, I had already heard whispers from various people in the area about Dr. Hendricks and Hendricks For Health. I heard about his compassion as a doctor, how he had helped so many people achieve their weight loss goals, how the FDA asks him to participate in medical trials for weight loss drugs, and how he has been in good standing with the bariatric community for over 20 years. 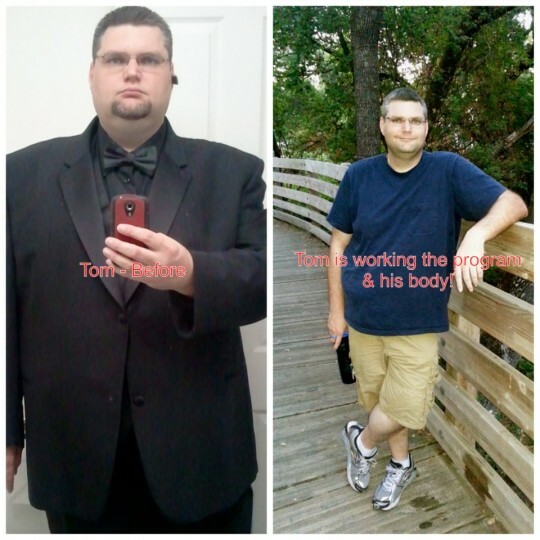 August 2013 * Tom has lost 100 lbs! So why did it take me 6 months after I heard all of these wonderful things before I booked my first appointment? Well, it came down to one thing, I wasn’t ready! I knew that most days I had no energy, that walking from my car to my office usually winded me, that I had to buy all my clothes online because the department stores didn’t carry my sizes, and that I felt miserable or generally unhappy most days. Somehow I had excuses for all of those things. Yet, one morning I became brutally honest with myself. Maybe it was because I was winded after taking my shower, maybe it was the rollercoaster commercial on the radio, maybe it was because earlier I was overlooked by someone I thought was attractive, or maybe it was all becoming just too much. All I knew was that I had enough, and that I needed to do something to change my direction in life. So I made the call, and scheduled my appointment. When I arrived, I found the familiar items I have expected in any weight loss office. The fake happy staff members, the diet products, the latex fat blob, and the dreaded evil scales. Then came the surprises. First and foremost, I found out that the staff were legitimately happy, granted we all have our bad days, but over the last year I have found that they truly care about each of their patients. The diet products are the best around. Tons of research hours go into finding the best quality along with the best prices for each product that is sold. Dr. Hendricks’ reputation is well deserved within the bariatric community. He is always willing to listen to what I have to say, offers well-grounded advice, and I never get the feeling that he is judging me during our sessions. As for the dreaded evil scales, well I have found that as long as you do your best they aren’t so evil after all. In fact, mine currently reads 100 pounds less than when I started my weight loss journey. Thanks to Dr. Hendricks, I am now doing things I would have never done before, like kayaking, hiking, riding a bike, meeting new people, planning trips outside the US, rollercoaster rides, buying my clothes in a department store, and eventually when I reach my goal weight, I want to celebrate by going sky diving.